Located across from Crabtree Valley Mall and just minutes from downtown Raleigh. 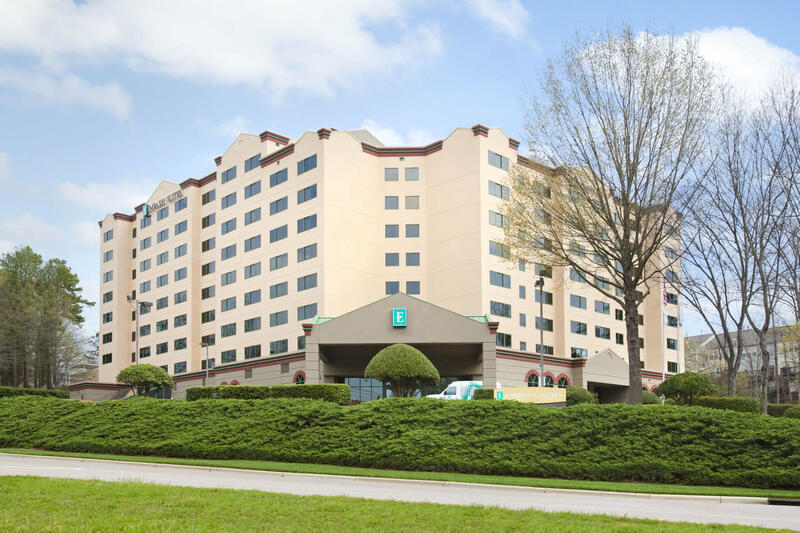 Embassy Suites Hotel Raleigh Crabtree is conveniently located near PNC Arena, museums, theaters, restaurants, parks and golf. This property has 225 renovated two-room suites and a nine-story tropical atrium. Complimentary manager's reception and a full cooked-to-order breakfast offered daily.